LENEXA, KAN. – The motto of Mallard Construction says it all … “because Oklahoma weather happens.” And, as everyone knows, that weather can include strong winds and hail a good portion of the year. That’s the number one reason that Concert Golf Partners went searching for a new roof for their clubhouse right after they acquired Gaillardia Golf and Country Club in Oklahoma City earlier this year. “The new owners wanted 600 squares of a Class 4 impact-resistant roof system to replace the concrete tiles on their 15-year old country club,” says Andy Lacks, vice president of commercial roofing with Mallard Construction out of Oklahoma City, Okla. “Concert Golf Partners expressed an interest to us in finding a durable roof system that would fit the high-end neighborhood surrounding the Gaillardia Country Club while withstanding severe weather. The elegant 55,000-square foot, three-level clubhouse at Gaillardia Country Club has a French Normandy design style and features state-of-the-art meeting rooms, a fitness center, a wine room and an extensive learning center. The jewel of the country club sits on the highest hilltop in northwest Oklahoma City amidst an 18-hole Tom Kite-redesigned Arthur Hill golf course on 230 acres. 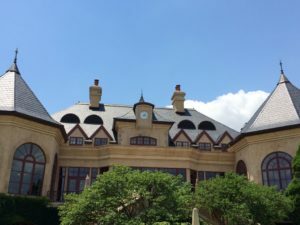 Used for special events, wedding and business functions, the Gaillardia clubhouse was originally designed by William Zmitowski Associates and has been recognized as one of the top 100 clubhouses in the world. 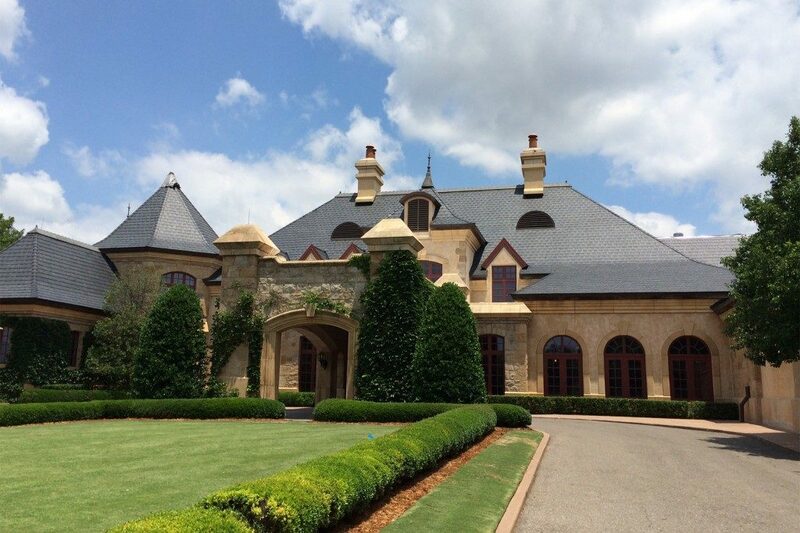 Each DaVinci polymer roof shingle is lightweight, impervious to freeze/thaw cycles, impact resistant, maintenance free, color fade resistant, Class A fire rated (with specified underlayments), UL 2218 Class 4 impact rated, and wind resistant to 110 mph. All DaVinci polymer tiles resist water absorption, which eliminates freeze-thaw issues and allows for installation in most weather conditions. For more details on Mallard Construction, visit www.gomallard.com. For additional information on Gaillardia Country Club, visit www.gaillardia.com.